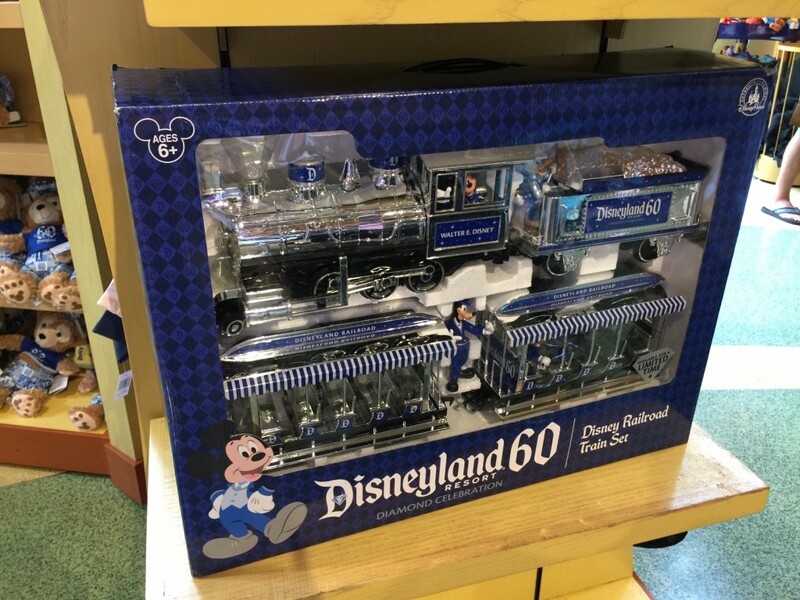 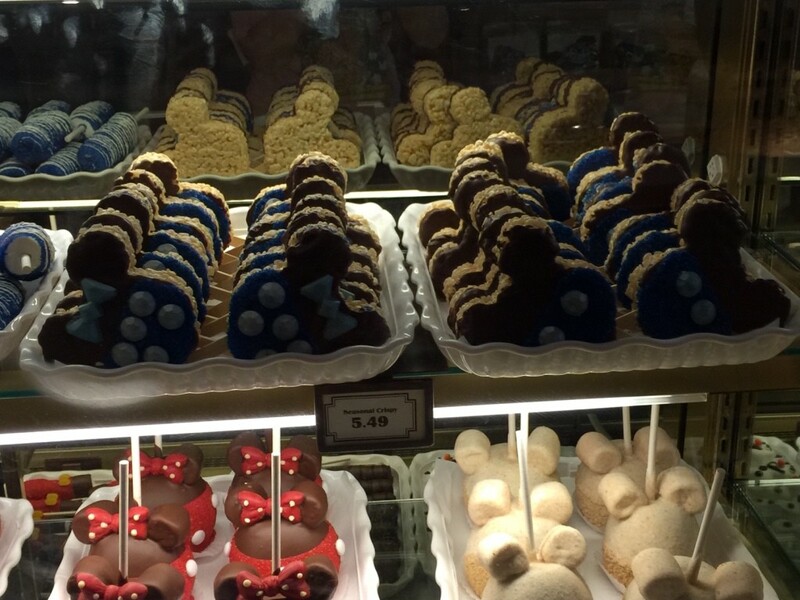 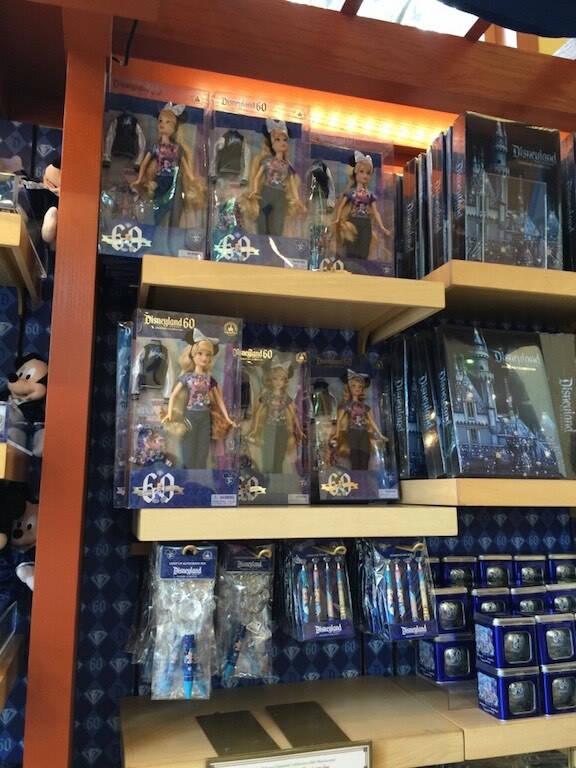 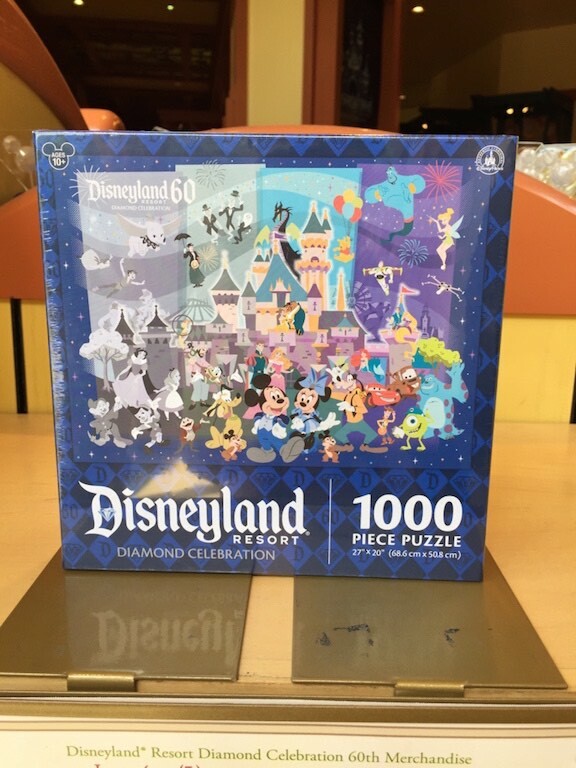 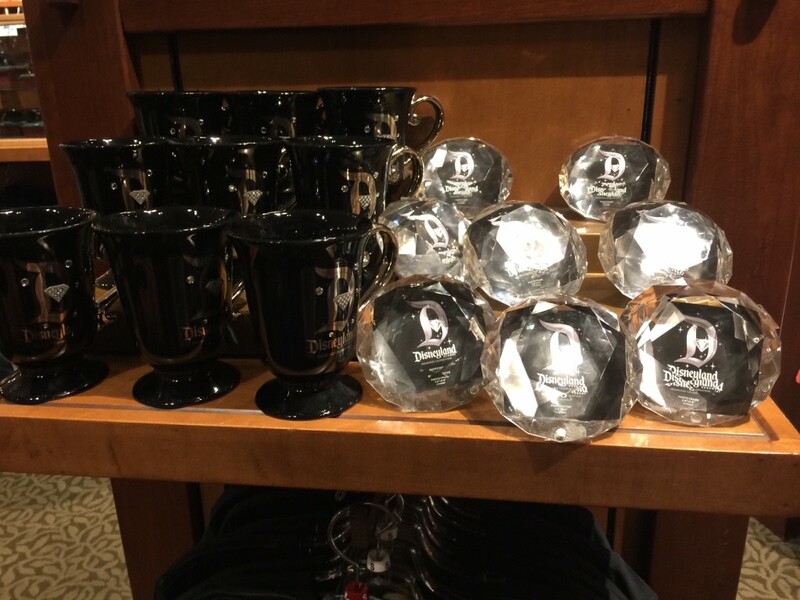 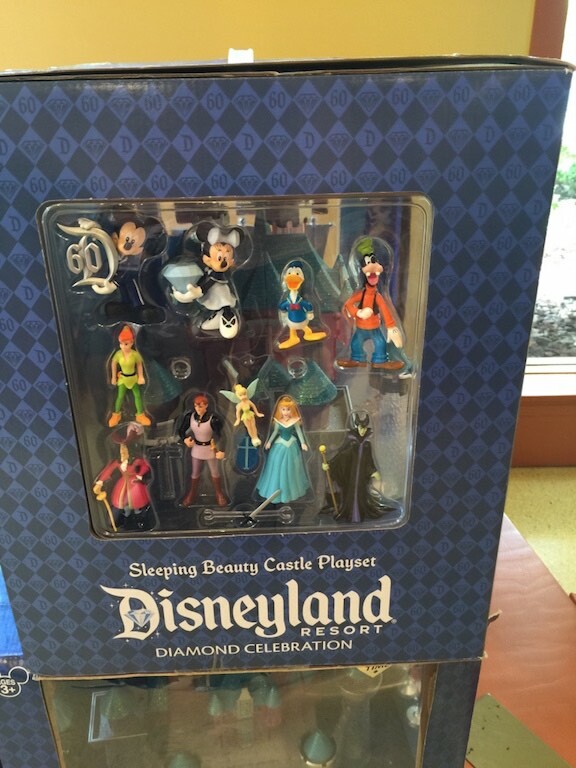 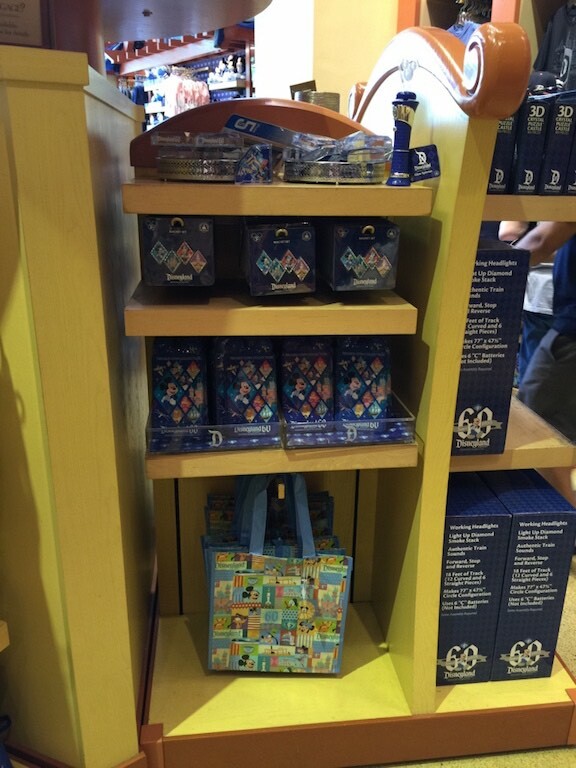 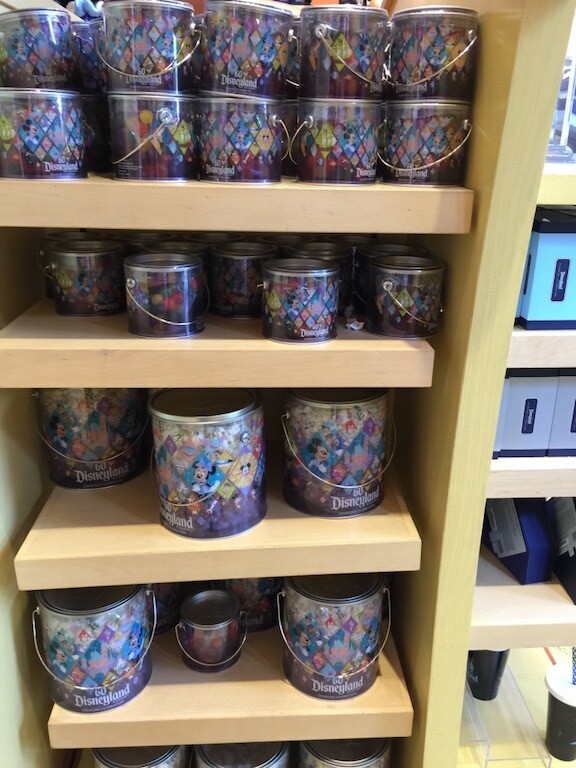 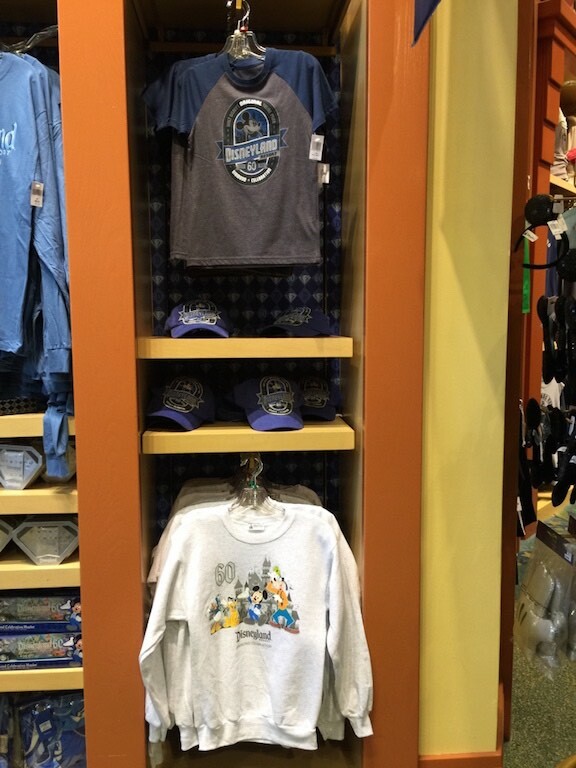 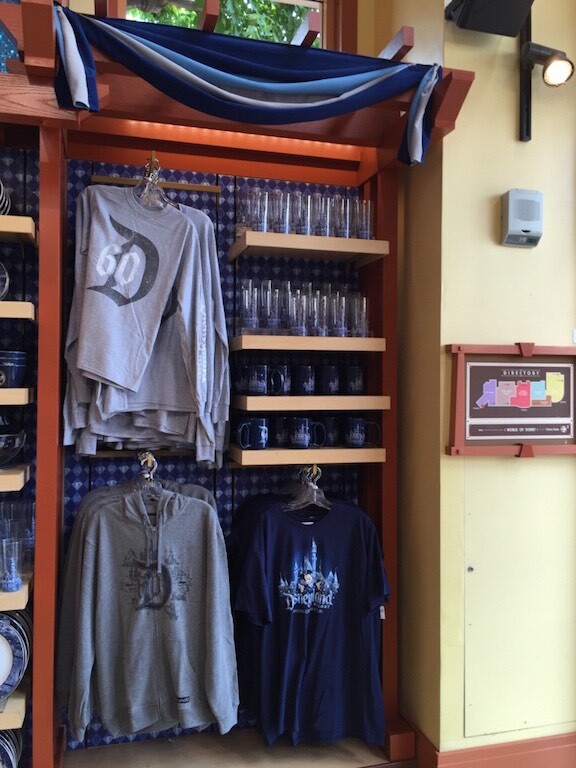 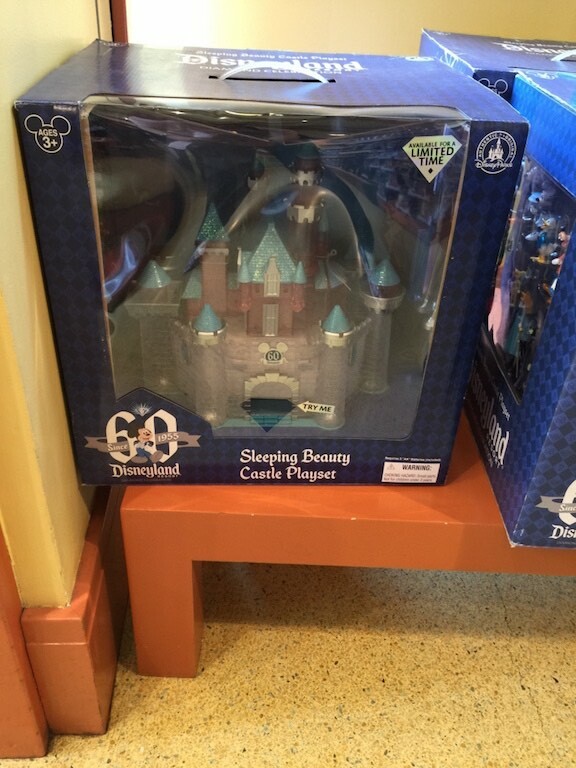 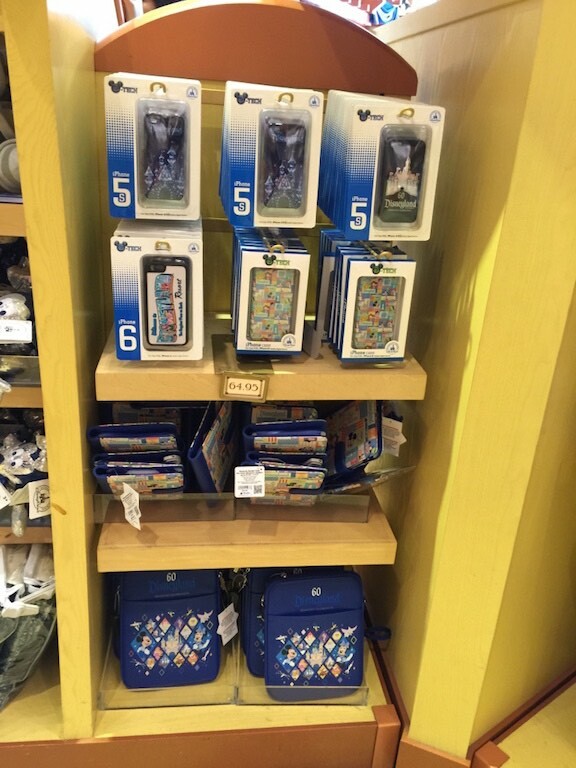 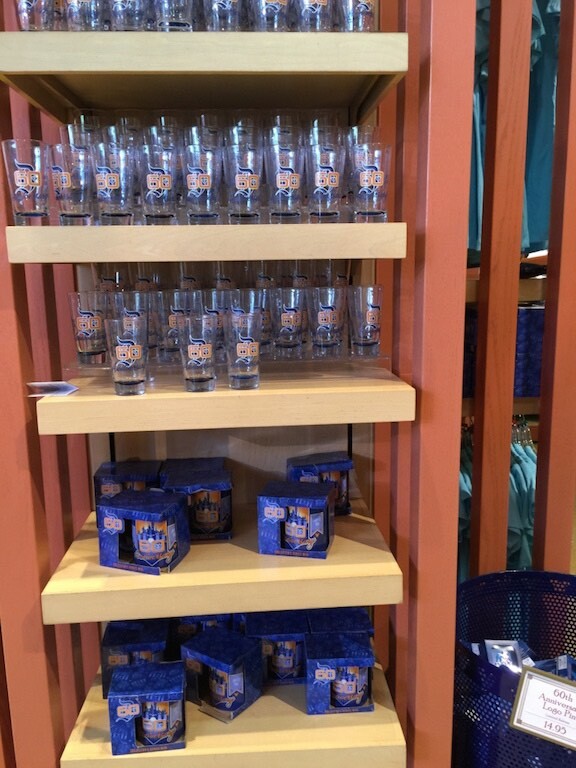 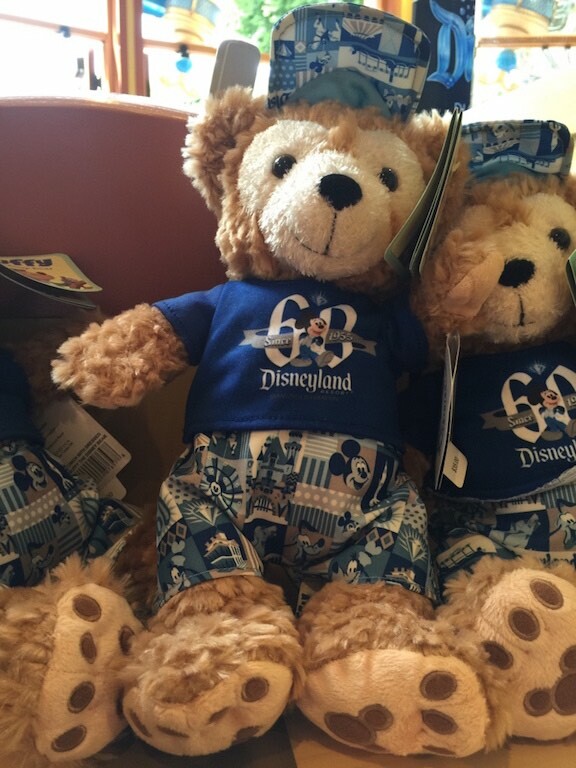 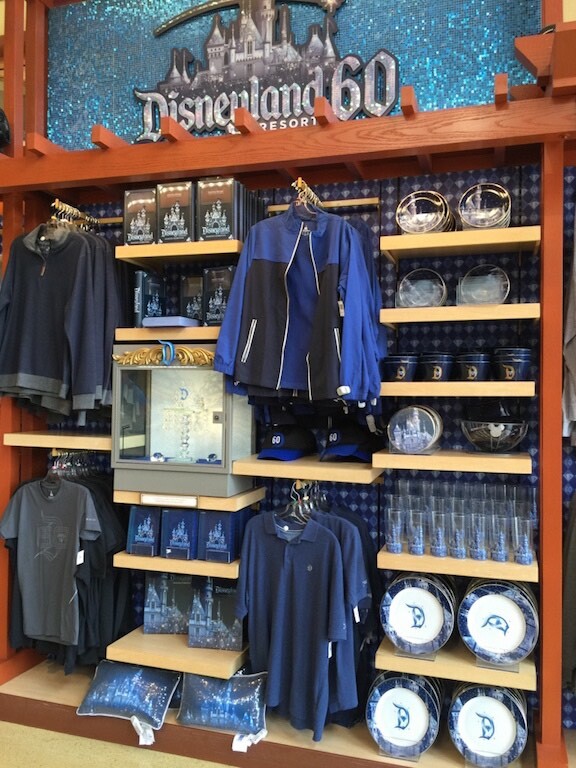 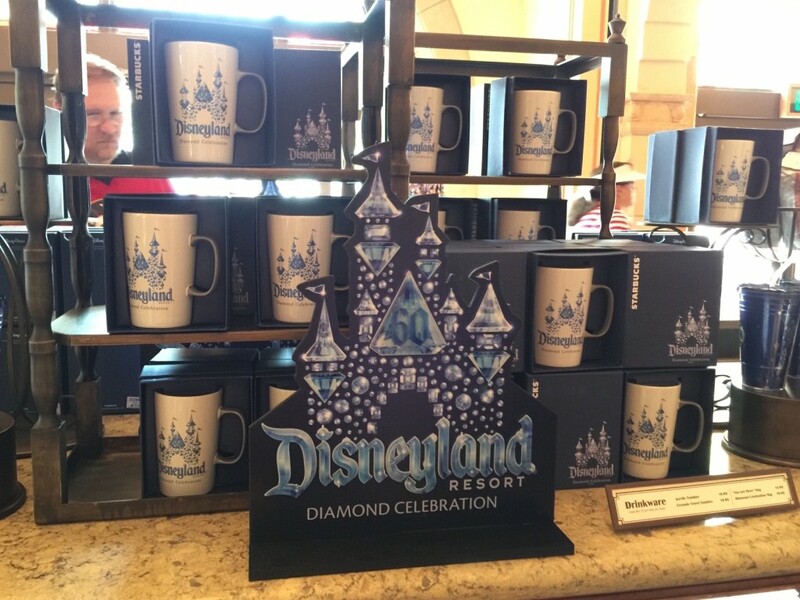 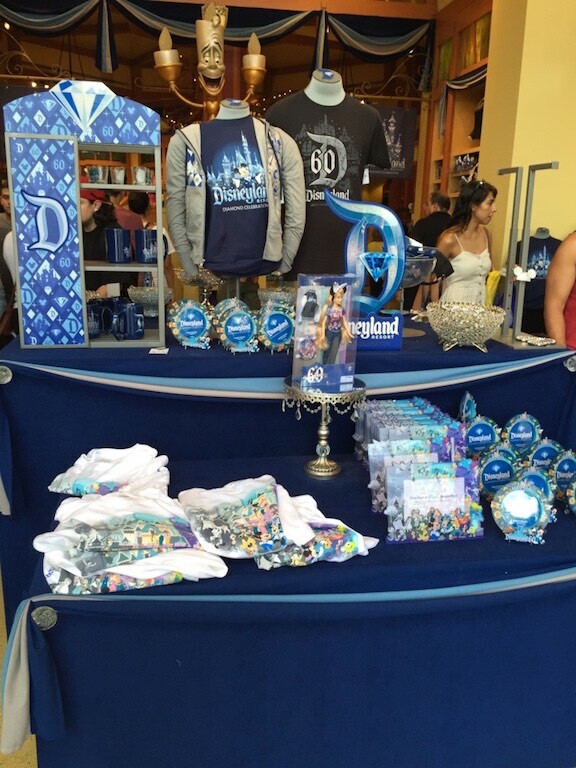 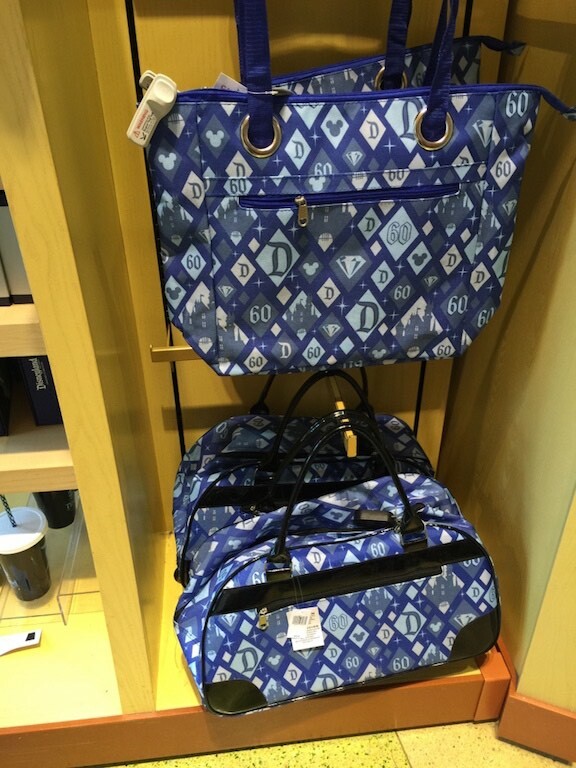 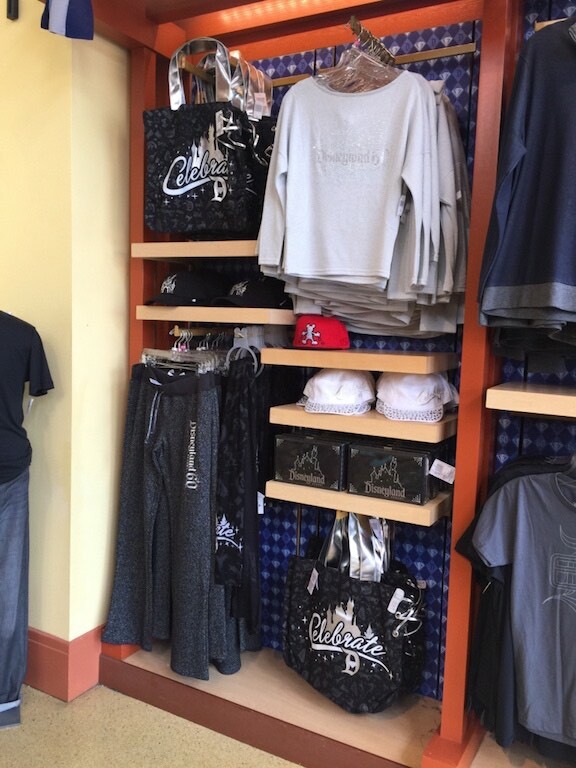 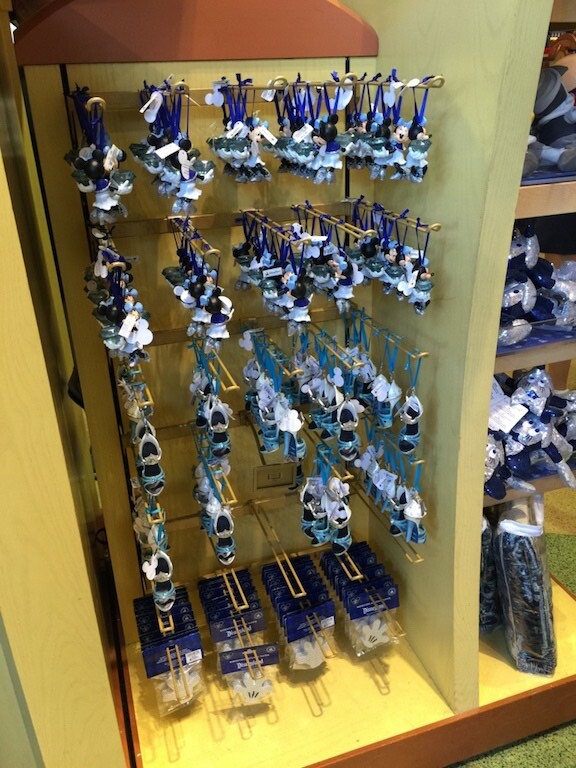 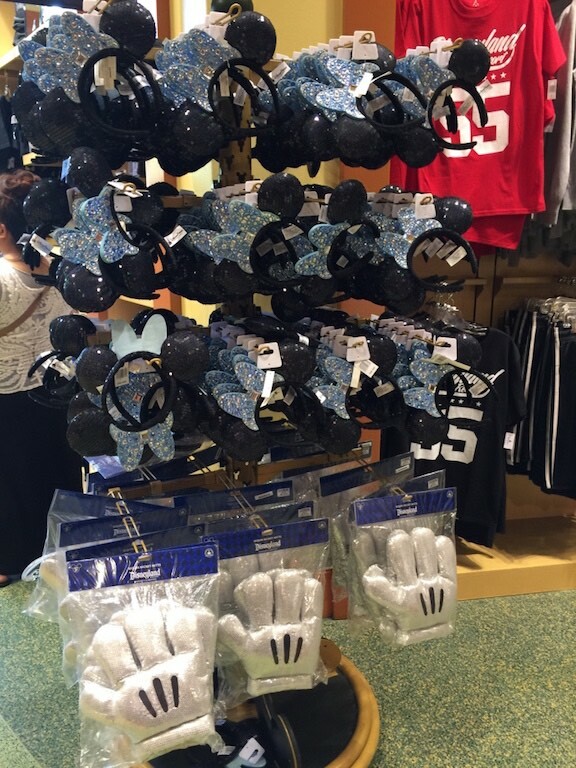 One of the things that many Disney fans were excited about was the new merchandise offerings for the Disneyland 60th celebration. 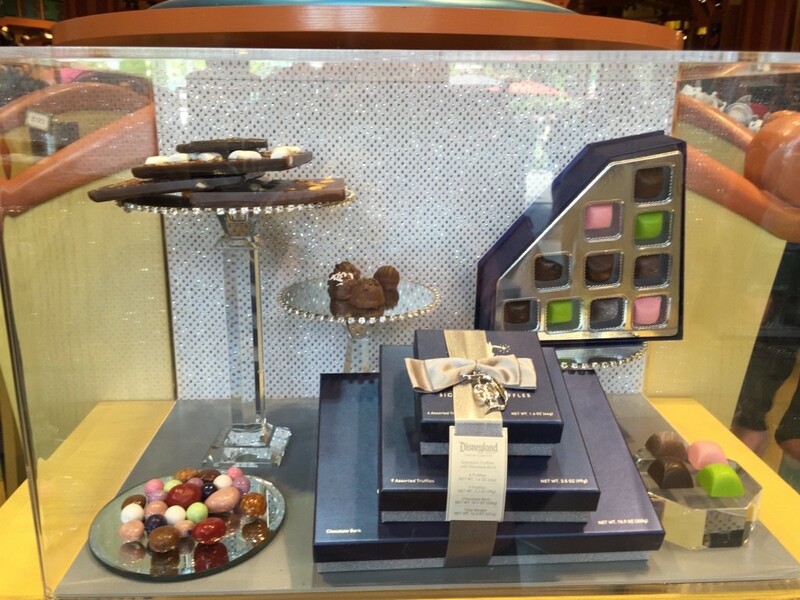 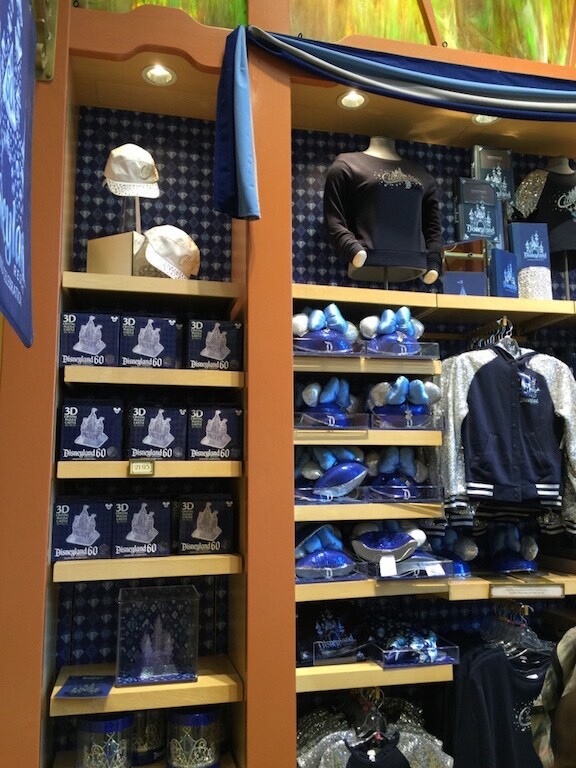 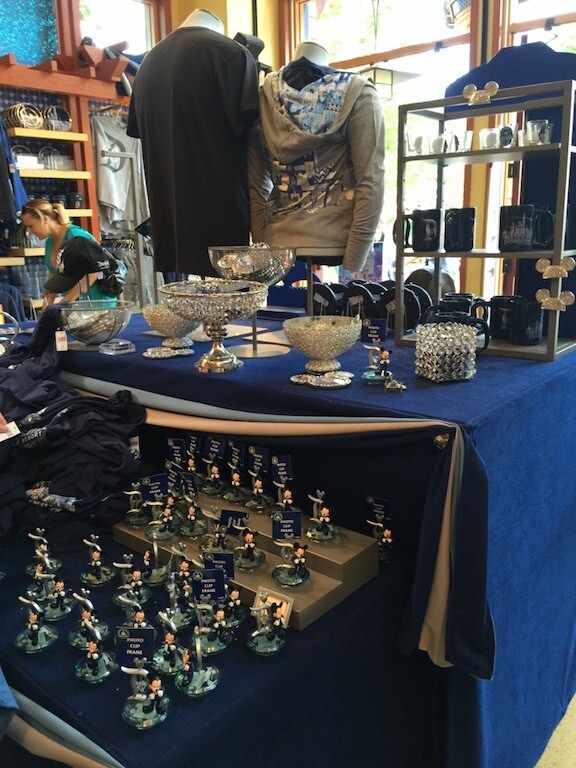 With the diamond anniversary colour scheme of blue and silver, I was keen to see the available goodies to buy. 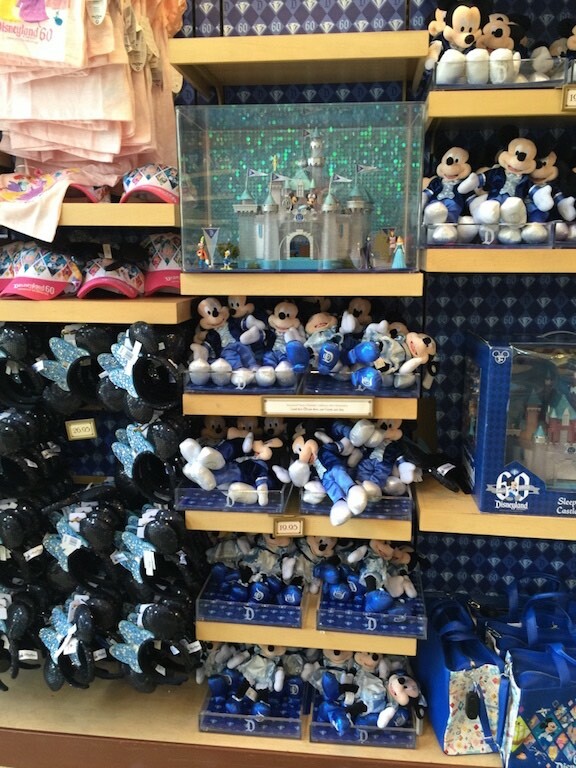 I love to shop, but I’m completely rubbish at it, and didn’t buy hardly anything, but I figured others might like to see what items were available. 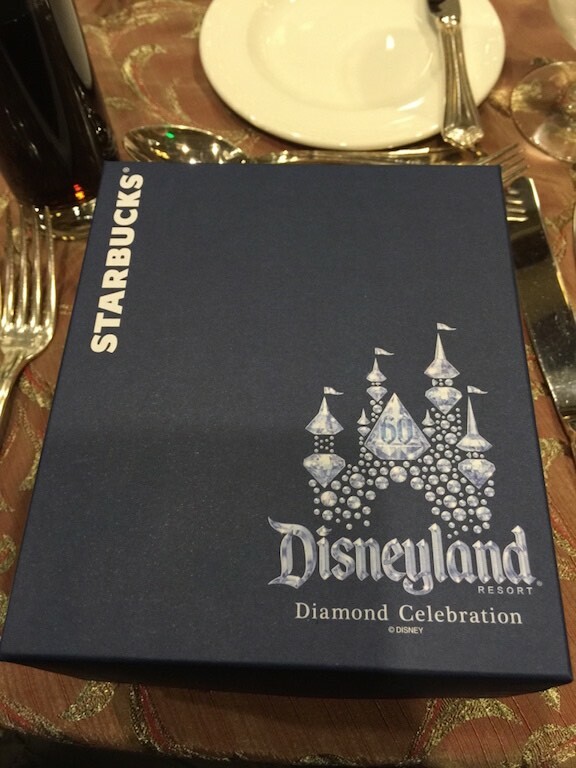 The “Glow with the Show” ears worked for the new night-time parades and fireworks as well as World of Color. 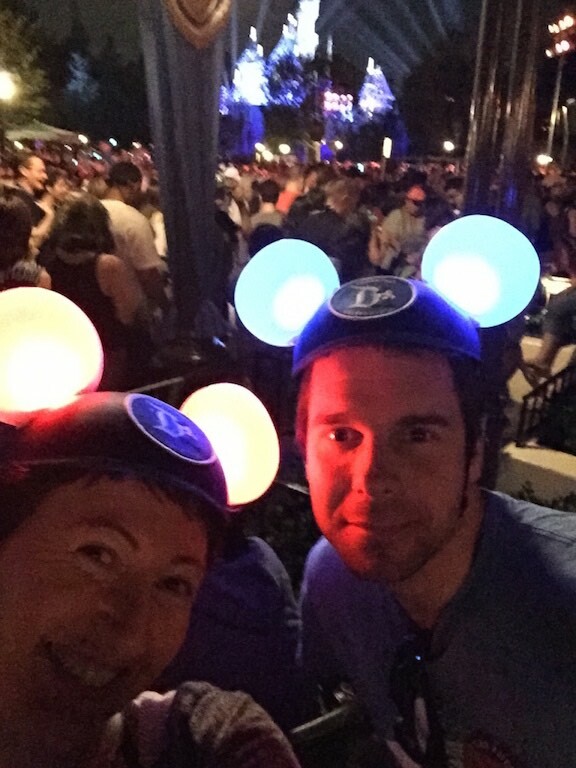 I didn’t actually see these ears obviously in the shops, they were a gift and we had people ask us where we got them. 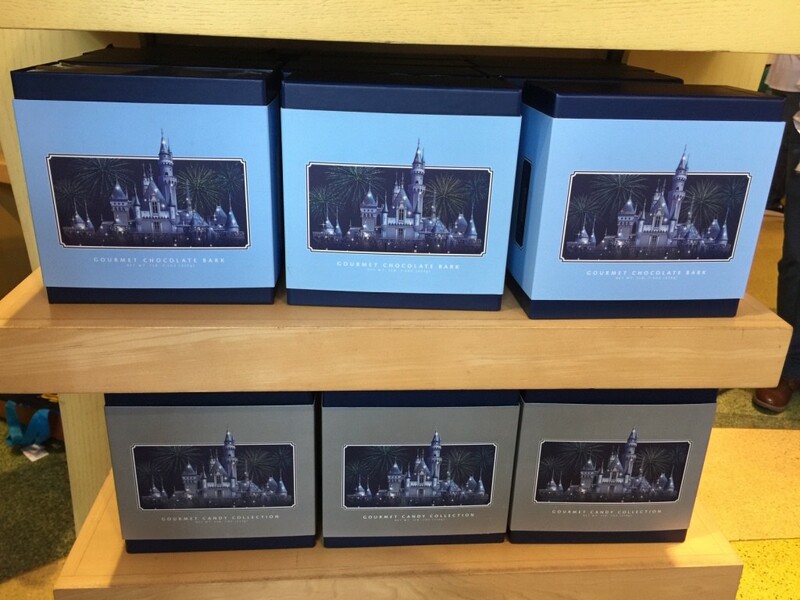 Not sure if they sold out quickly? 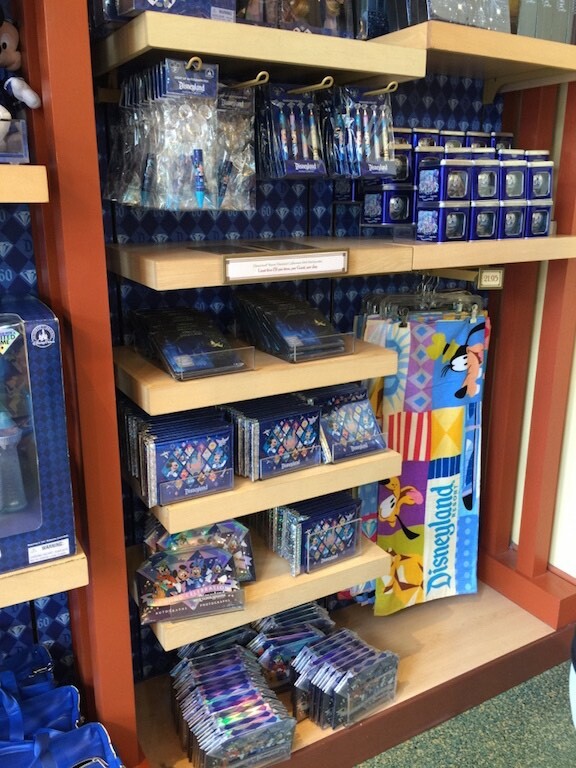 One of the other items to buy was a light up paint brush which the children around us had great fun with – it allowed them to change the colours of the ears of those around them. 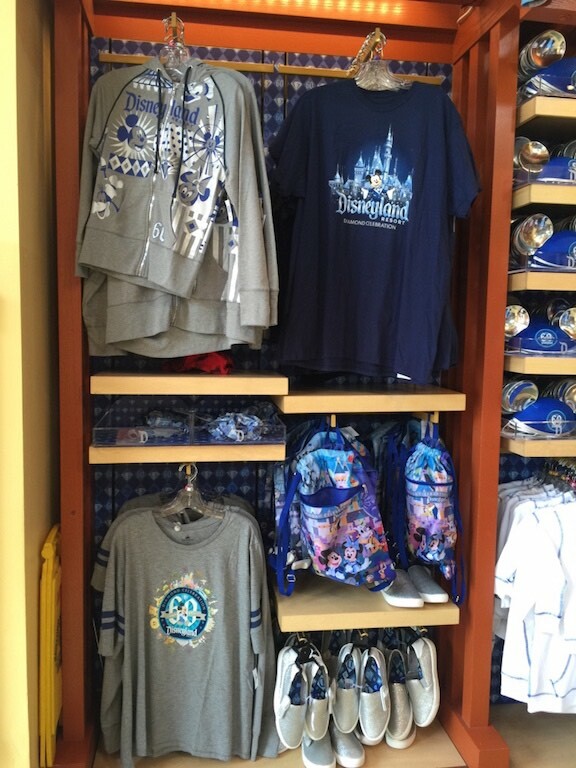 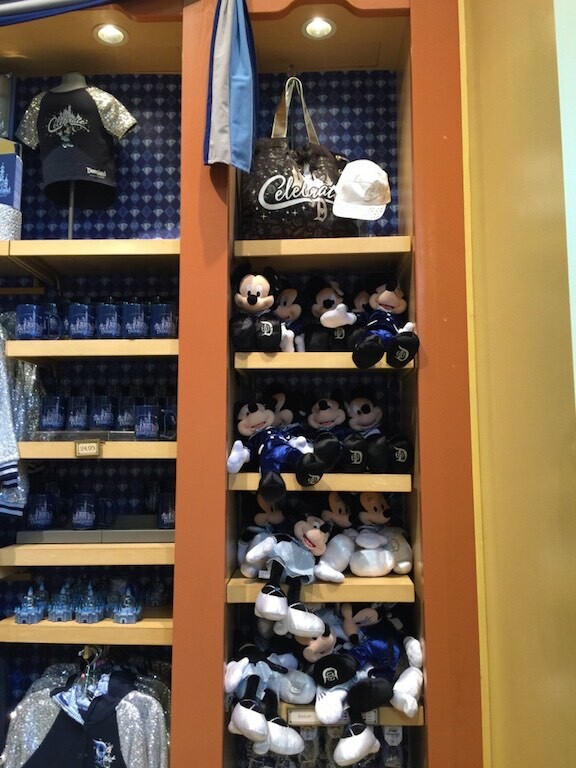 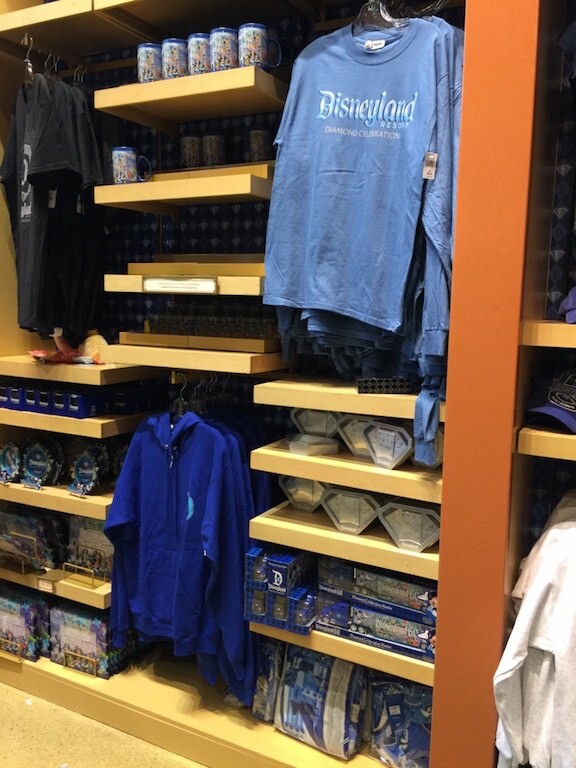 There was a lot more too that I didn’t photograph including pins, date specific t-shirts, annual passholder speciality items, children’s clothing and more. 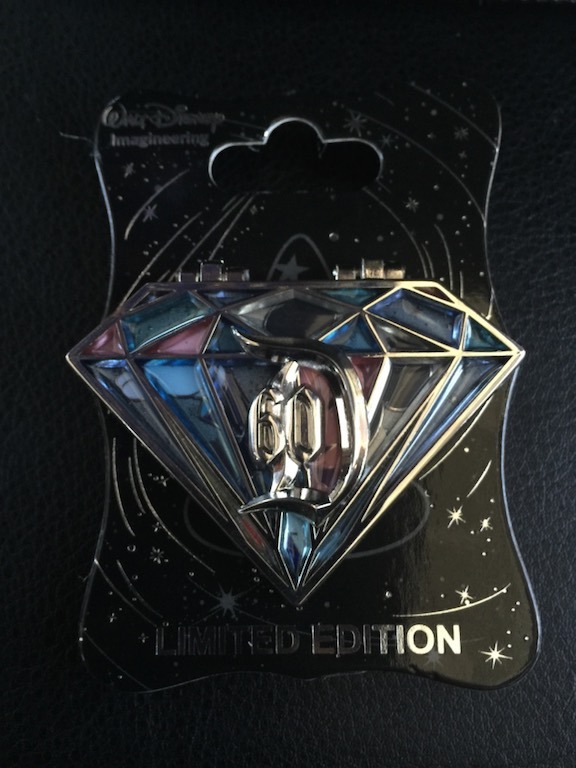 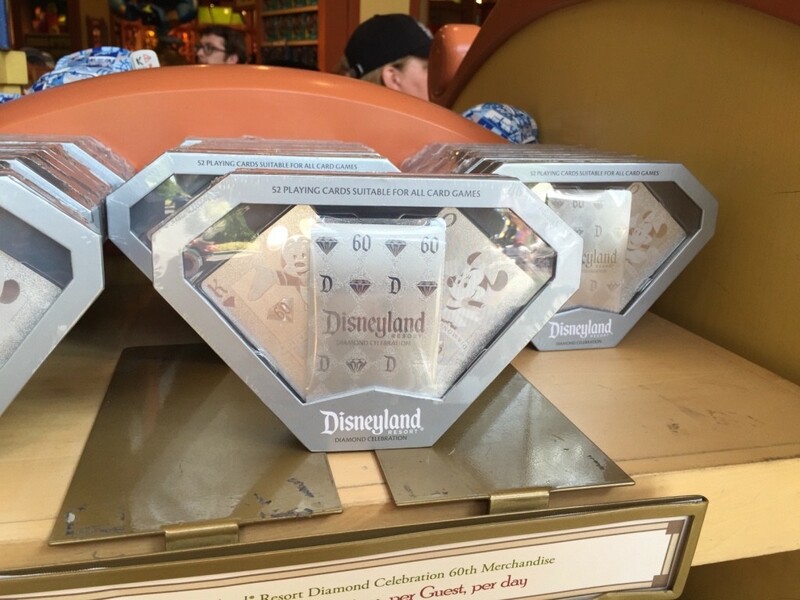 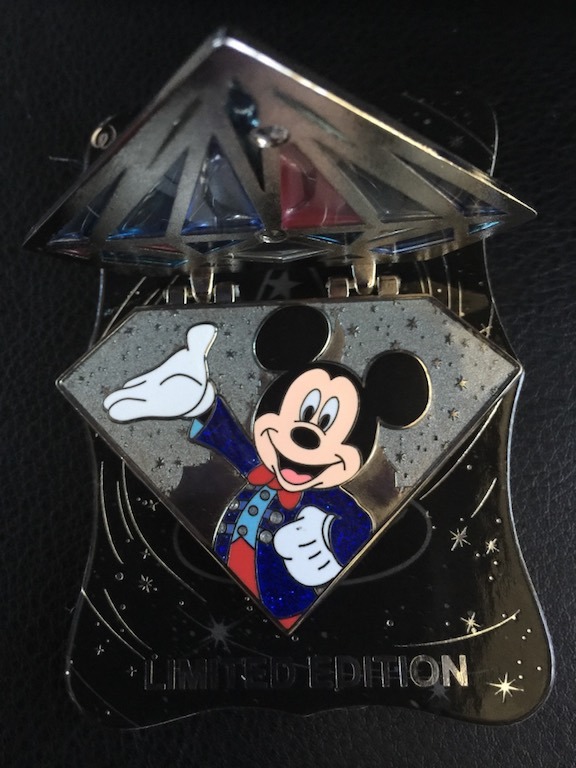 As we visited Disney’s Imagineering, at Mickey’s of Glendale, they also had special limited edition pins for the Diamond Celebration such as this one below. 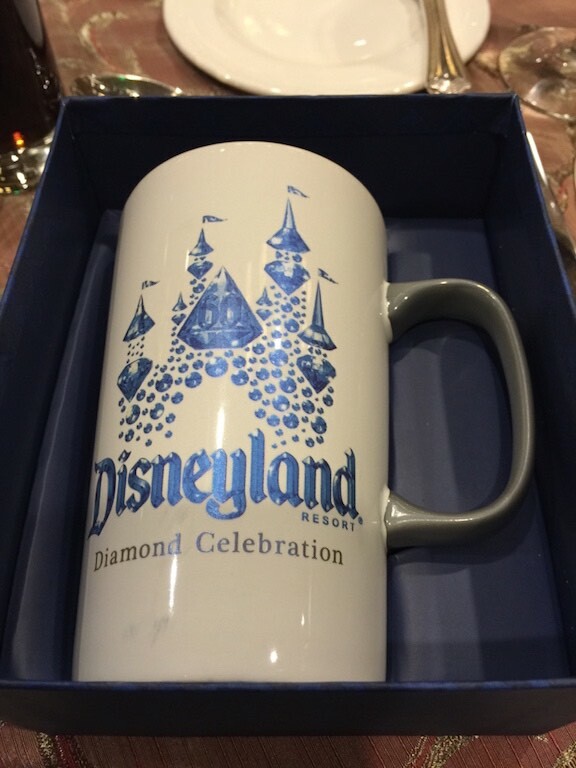 Have an amazing time. 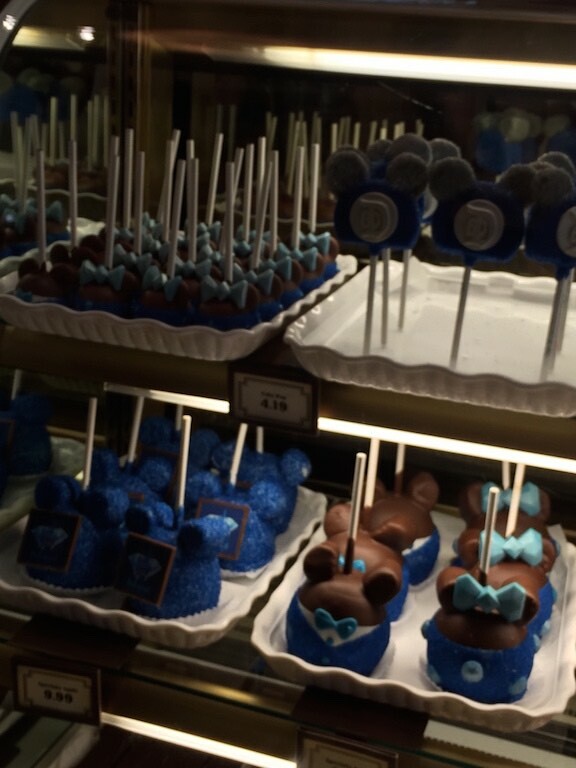 Thanks to your blog I feel like I’m there celebrating with Disney!